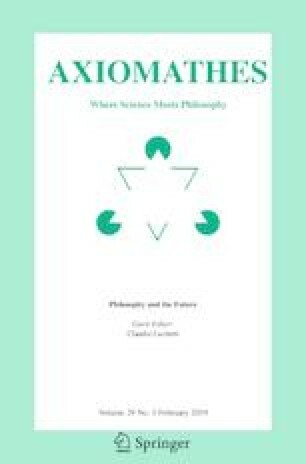 This special issue of Axiomathes is the outcome of a project born within the First International Conference on Anticipation, where a panel session entitled “Philosophy and the Future” took place. The first and still best-known definition of Anticipation was given from Rosen: “An anticipatory system is a system containing a predictive model of itself and/or its environment, which allows it to change state at an instant in accord with the model’s predictions pertaining to a later instant” (Rosen, Anticipatory Systems. Philosophical, Mathematical and Methodological Foundations, 1985, p. 341). But what does it mean that a system—let it be a living organism or an inorganic item—is endowed with a predictive attitude, precisely Anticipation? Where does this inner capacity stem? From a philosophical point of view, to answer these questions would presuppose getting involved into a wide range inquiry about the nature of the relation existing between time and temporal entities. To give at least a taste of the complexity of this topic one could say that there are at the minimum two ways to consider this relation: static and dynamic. A static explanatory model implies that objects are fixed entities completely developed and no longer subject to essential modifications, while a dynamic approach is flexible enough to see objects as entities in fieri, as it were, in a constant process of becoming, and therefore potentially open to nearly infinite possible developments. Correspondingly, a static approach to time leads either to an annihilation of past and future—to a sort of presentism—or to a conception of present as a mere passive result of the causal force of the past, while a dynamic perspective acknowledges the deeper dialectics existing between present and Future. It is precisely an understanding of the present not only as an openness to the Future, like a point of departure envisioning the future as an aim to be achieved, but also as being in itself open—to say it better, it is the fact that the present can be conceived not as a dimensionless point but as an extension (how few Philosopher from Plato through Hegel to Hartmann did)—that creates the conditions for Anticipation (see also Poli 2017). So close to each other Anticipation and Future and so numerous their mutual similarities may be, still it is important to be aware of their differences. If we consider Anticipation to be a Genus, it is not true that each of its Species always refer to the Future. Imagining the Future for instance, is a fundamental anticipatory activity that can take place and be experienced in the present, as well as in the past, whenever one treats events or affections still to occur as if they would have already become manifest. In these cases Anticipation is dealing with a Future-present and with a Future-past if you want, and may contribute to influence the individual development of a temporal entity as well as its engagement with its own past by influencing memory. Furthermore, Anticipation is not a strictly objective science, for there are no guarantees that what is anticipated will be realised. While the individual Future, i.e. : the qualified Future thought of as an aspect of the temporality of a temporal entity, can be effectively modified by means of anticipatory activities, the Future as such, as it were, considered in its pure logical structure—and no matter in which philosophical framework one may attempt to define this structure—, is no subject to variations. Additionally, Anticipation does not mean absolute freedom, being partially conditioned from the amount of causal force of the past that determines the present situation of a temporal entity. The Future itself instead, includes at least potentially the sum of all possibilities. It should be clear though, that all Species of Anticipation take root in the Future and depend on it. The possibility to predict, decide, influence, orient, imagine, change, interpret and re-interpret, due to the openness and dynamism that at a first look all seem to be essential features of Anticipation, is a real possibility because the Future exists. In other words, the Future seems to be the condition of possibility of any Species of Anticipation. For surprising it may sound, in the philosophy of time the Future is often neglected, regardless of both which position concerning the nature of time is being defended, and of the explanatory pattern, metaphysical or psychological, being used to define such a nature. Clutched between presentism, claiming the unreality of both past and Future, and flux-theories, with their tendency to annihilate qualitative as well as quantitative differences existing among the three dimensions of time, the Future still lacks of a specific hermeneutical approach engaged in defining it in its autonomy and in finding out its peculiarities. Tied as it is in a privileged link with creation i.e. : taking something from not being into being, and with freedom connatural to every physical and intellectual (scil. : psychic) activity, the Future would definitely deserve more attention. Our aim with this special issue is not to start a systematic ontological or historic-philosophical inquiry about the Future as such, by asking ourselves what it is, why it is what it is, and how it has been conceived within diverse philosophical perspectives. So, we necessarily had to give some basic irresistible premises for granted, for instance approaching the Future as that specific dimension of time coming after the past and the present, that is to say, considering time as being oriented, continuous, endowed with three dimensions, i.e. : moving from the past through the present towards the future and not vice versa. Still these unspoken premises allow a great number of flexible philosophical views and hermeneutical possibilities to approach this extremely dynamical entity called Future. Our attempt to deserve a first overview on the nature of the Future meets the successful increase of anticipatory studies, so that nearly each contribution included in this issue is committed in discussing at least one facet of the connection between Anticipation and Future. Maitreyee Datta explores some specific metaphysical issues connected to the Future, namely the age old conflict between logical analysis and phenomenological study concerning the best way to approach our experience of temporal passage. This inquiry takes as a departing point western philosophy and classical Indian thought as well. The contrast between eternalism and temporality turns out to be analogous to the conflict between reason and experience, both irreducible to one another because both fundamental in giving a shape to our lives. From a process-philosophical perspective, Gottfried Heinemann is committed in discussing some fundamental issues of Whitehead’s event ontology, in particular his conception of a fruitful coexistence of presentism and futurity conceived to explain the possibility of moving from the present towards the Future. A process-philosophical approach characterizes the contribution of Tina Röck as well. Röck takes a closer look at the ontological correlation between being involved in substantial change and the flow of temporality that many dynamic ontologies imply. The ultimate goal of these reflections is to find out whether a dynamic and ontological understanding of time as temporality could help us develop more appropriate anticipatory strategies equipped to tackle present challenges more successfully. Here Anticipation is understood as the theoretical reflection on the Future as well as practical action in the present that is informed by this reflection on the Future. But the role of the complex and layered connection between Anticipation and Future can also be investigated as shown in Robert Zaborowski’s contribution on the anticipatory dimension of affectivity. In approaching the Future, the role of both affective and non-affective factors is crucial. Zaborowski is well aware of the inhomogeneity of the realm of affectivity and therefore committed in distinguishing affective and non-affective factors in approaching the Future and in decision making processes. The relevance of the Future within the bio-processual dimension of Anticipation is addressed in Jonathan Jancsary’s contribution on Bergson. Against the deterministic belief in the possibility to predict every natural event dominating in Europe during the nineteenth century, the French philosopher Henri Bergson developed a dynamic ontology claiming that existence is an ongoing and evolutionary process (élan vital) without an aim established once and for all. Reality, far from being predictable in its development, lives and grows in a spontaneous and creative Future, and the only successful epistemic approach to a becoming reality relies on intuition, understood as the counterpart of abstract reason. Raimundas Vidunas analyses dynamical and nearly chaotic systems, and introduces a notion of delegated causality in order to better explain some of their features, holding that there are several interesting implications of such a concept of causation both in biology and in Chinese philosophy. In this special issue we have brought together various philosophical perspectives on the Future in its connection to Anticipation ranging from the metaphysical, ontological, psychological, up to the biological dimension and to the role of affectivity. The Future can only profit from wideness and fruitful diversity in approaching it. Our hope is that a deeper understanding of anticipatory dynamics will keep shedding light on the enigmatic and fascinating breadth of the “not yet”.